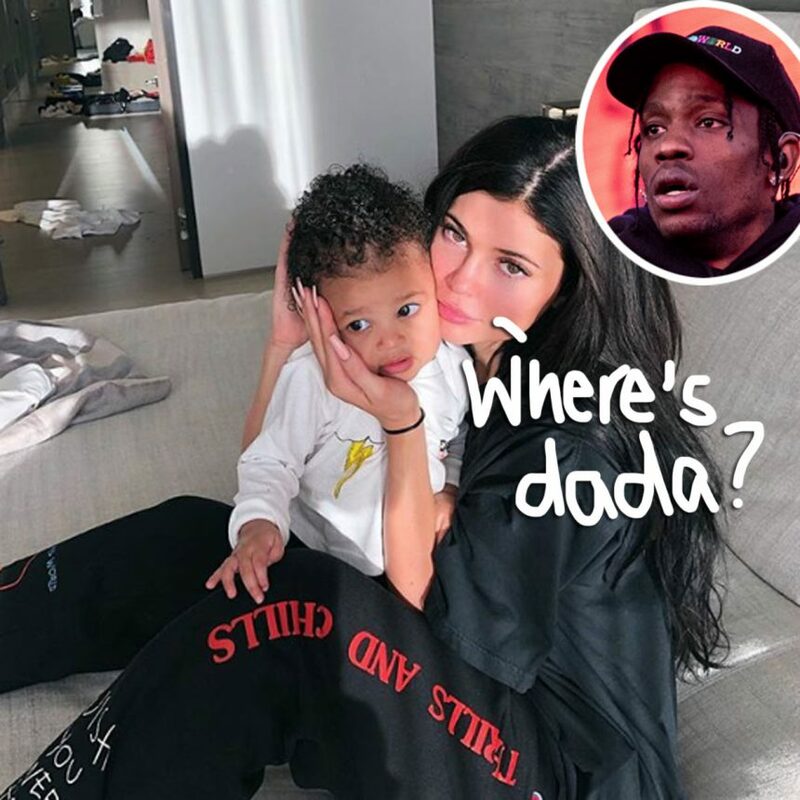 It seems like those cheating rumors last month really put a strain on Kylie Jenner and Travis Scott‘s relationship, one that has yet to be fully repaired. As we previously reported, as Khloé Kardashian was reeling from the news of her cheater baby daddy Tristan Thompson allegedly having an affair with Jordyn Woods, the “billionaire” makeup mogul had supposedly accused her own man of straying, too! Video: Kylie Jenner Transforms Momager Kris Jenner With Her Signature Plump Lip! No real details were revealed, only that Jenner grew suspicious after seeing her man’s phone, and it wasn’t long before the rapper’s rep “strongly” denied the allegations. The Sicko Mode artist even made sure to give his baby momma a shout-out at his Madison Square Garden show following the accusations. They explain the two are in communication, but only in “spurts,” as Kylie struggles to trust the 26-year-old while touring across the country. Reporting the couple are in need of a “serious sit-down,” there’s just no time with both of their busy schedules. The 21-year-old KUWTK starlet is keeping her attention on their kid and her Kylie Cosmetics line, but doesn’t want Scott to put any shows on hold just so they can hash things out! Travis has a month-long break coming up next month, in which the insiders claim the duo will finally be able to work things out. Even still, it seems like Kris Jenner‘s youngest daughter is in support of her man! Sharing a pic of herself cuddling baby Stormi on Instagram Friday (pic up top), she can be seen wearing the Houston native’s tour merch as their daughter rocks a top with a stormi cloud! The young mom continued to show off the quality time she was spending with her little one over the weekend, posting another new pic and video to the social media site! They really are so attached to each other! We can only imagine Travis is jealous seeing his two girls spending so much time without him, but it sounds like it’s only a matter of time before he’s back and falling into the same routine with them. It was only earlier last week, on Wednesday, that he rocked a hoodie with his girlfriend’s face on it to a basketball game (pic HERE)! Think Kylie and her baby daddy will be able to weather this storm?? Or are they letting their careers get in the way?